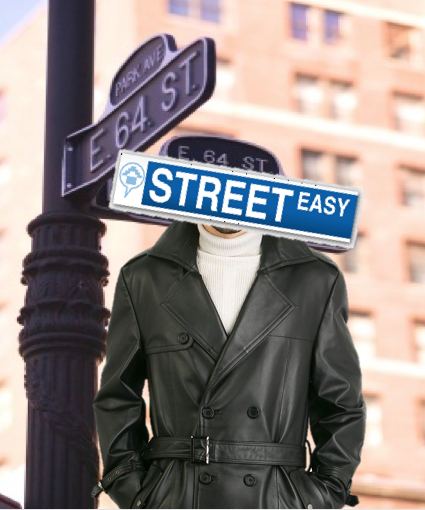 If you’re a regular reader of BrickUnderground, you already know we’re longtime fans of StreetEasy.com, NYC’s de facto multiple listing service. 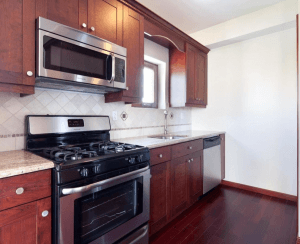 The site is best known for its expansive co-op, condo, and rental listings, combined with information on past sales prices and rental asking prices. What sometimes gets lost are little-known, underutilized tools and tricks that can give you the upper hand in your search and negotiation. Commute Time. You can specify how far your want you future home to be from your office, your boyfriend’s apartment, your school, wherever ... and search for apartments based on close proximity to where you spend a lot of your time. Description includes… Check off the “Description includes” box to enter specialized search terms like “northern exposure,” “lease to own,” or “tax abatements.” If you’re looking for a below-market-rate co-op or condo, type in “TLC,” “needs work,” “handyman special,” “fixer upper” or “bring architect,” as brokers will often use these expressions to describe apartments that need work. “Home office” is another good way to find a one bedroom with a home office that could be used as a kid’s bedroom. Set a narrower budget. If you have a pretty specific offer price in mind, click Custom on the price drop-down menu and name your price (you don’t have to stick to StreetEasy’s parameters). Two prominent check boxes in StreetEasy’s rental search field give you the option of searching only “by owner” or “broker, no fee” apartments. To identify rentals that are offering concessions, click on Advanced Search, check “description includes” and type in the words “free rent." “If you’re saving searches, be creative,” says Jared Kleinstein at StreetEasy. “To find a more aggressive seller, look for listings with price cuts over a certain percentage, and you’ll get updates when ever those price cuts occur. Also, even if a building you love doesn’t have an apartment available with the layout you want now, save it and keep your mind open for different sized units that may become available." Insider status on StreetEasy costs $10 a month, but in addition to seeing past listing prices in a building, you'll see recorded sales price too. “You can see how much each property was sold for, who bought and sold it, and the discount/premium they got from the last listed price,” says Kleinstein. Another neat if somewhat stalkerish feature: As an insider, you can type in someone’s name (your favorite celebrity, your boss, your ex-husband, etc.) and see recorded sales information for their home, including how much they paid and even their broker’s name (assuming they didn’t buy it through a trust or LLC). Insiders also get email updates on saved properties hourly rather than just daily. The Shop for A Broker feature (see below) is also only available to insiders. “Searching recorded sales is the best way to get accurate comps when looking for a place or pricing your own property,” Kleinstein says. Recorded Sales, a section only accessible to Insiders, can be found under the More tab on the homepage. It contains the same information available publicly via Acris Data but in a cleaner interface. "By using searches like ‘recorded on,’ you can find recent closings [as well as] closings that you may have missed that occurred a while ago and were just recorded," notes Kleinstein. Click on the Open House Planner tab on the homepage (you have to register to access it, but you don't have to be a StreetEasy Insider), and you’ll be taken to a page with a calendar on it. There you can search open houses by date, and see which of your saved listings are having open houses on which day. Once you click on the open house, click Add to Planner to save the appointment onto your calendar. You can then sync the Open House calendar up with your Outlook, Google or iCal calendar systems. Under the More tab on the homepage, you’ll see Manhattan Condo Market Index, which tracks price changes of the same properties over time (on a month-to-month basis starting from January 1995). The index is designed as a practical tool for gauging how the Manhattan condo real estate market (and Manhattan real estate in general) performed over the past 15 years. The Index is a response in part to the Case Shiller Housing Index, often seen as the barometer of the country's real estate market, which only includes single-family homes and is therefore less relevant to the Manhattan market. Also under the More tab on the homepage, you’ll see Folders (you'll have to be registered with StreetEasy to use this feature). Click on that to see all the folders you’ve created for your saved listings (often users will divide listings into folders for, say “2 bedrooms” and “3 bedrooms” they’re interested in). When you view your list of folders, you’ll see an option to Share this Folder. That way you can email your saved searches to anyone you want, like a broker, spouse or friend. There are thousands of real estate-focused forums on StreetEasy (click on Talk under the More tab to access them), but what a lot of people don’t know is that you can search for a name or category within the forums. Search the name of a building you’re interested in (or the real estate broker, contractor, or mortgage banker/broker you’re considering working with) to see if there’s been any conversation — good or bad — that may be useful to know about. This Insider-only Shop For a Broker feature helps you find the right broker (both as a seller and a buyer). “Rather than just relying on a referral, you can determine which agent has actually performed the best in your area/price range," and not just big-name "power broker" types, Kleinstein says. "You can see whose listings stayed on the market for the shortest amount of time, who got the closest to their asking prices, and more (all sortable). You can also tell what companies are prominent in your neighborhood so you can walk up to their offices and grab an agent to work with." Type the name of a neighborhood into the search field on the homepage (e.g., Tribeca). The page you’re taken to contains a description of the neighborhood, inventory counts (to tell you what’s available both in terms of sales and rentals), photos of some buildings in the area, maps, current sales and rental listings, information on the most-viewed listings (which can give insight into where the market is heading), and links to articles on the neighborhood. Each neighborhood page also sports a “market snapshot” with information on how many condos, co-ops, new developments and rentals are on the market, and the median prices of currently available studios, one-, two- and three-plus bedrooms. 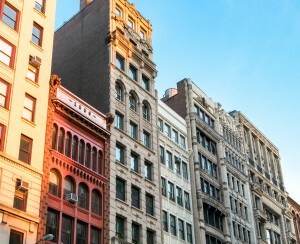 Can market-rate tenants get buyouts?